Legros was a recurring subject for Charles Shannon in the 1890s. He painted him in 1892 in a now untraced work, and drew him in 1898: ‘Went to old Legros who sat abominably as usual,’ he wrote in his diary on 1 March 1898. ‘Succeeded in doing a drawing which may turn out to be useful.’ The drawing was in connexion with the oil, NPG 2551, which he had been working on since January and may be identified with the chalk head, formerly in the Bliss collection, acquired by the Fine Art Society in 1972. Another Shannon portrait of Legros of this decade, unrelated to any of the former, is the delicate chalk lithograph of 1896. Shannon’s diary entries record ‘the old boy’ sitting to him for NPG 2551 between January and October 1898. On 20 October photographs (untraced) were taken to help with drawing the head, and he was using them again to rework the painting on 26 December 1898. The diary entries also reveal that Shannon looked to Rembrandt for technique for this portrait. He visited the National Gallery ‘to study Rembrandt for my Legros portrait [forehead]’ (22 Jan. 1898) and tried to emulate his use of tinted glazes: ‘Scraped down ?ridges & washed & repainted head after glazing down heavily with brown over whole picture’ (21 Jan. 1899). And again: ‘Glazed whole picture chiefly with Burnt Sienna (& softened shadows & high lights with a little prussian blue & white this was due to a study of the Rembrandts at the National […] a little vermillion was rubbed into the face as well the whole picture was scraped the coat which was originally painted a little too long was repainted about in – black very thinly & rapidly painted in to warm colour hand & glove papers and table’ (21 Mar. 1899). A few weeks later Shannon ‘Glazed down again face darkened in eyes & red rubbed in thinly’ (3 Apr. 1899); and on 27 July he reworked the glazes: ‘Oiled up Legros portrait & glazed background slightly’ (15 Aug. 1899). On 26 August ‘Legros turned up this morning & I was able to show him his portrait oiled up. He seemed fairly pleased considering it was a portrait of himself.’ The nose needed ‘slight attention’ and a little glaze was applied to the background behind the head, at the sitter’s suggestion (27 Aug. 1899). The last diary entry to mention the painting is on 19 October 1899: ‘Covered Legros portrait … with a mixture of copal varnish & oil’. Shannon had worked on the portrait on and off for twenty-one months. Legros was an inspirational figure to a generation of non-establishment, non-Royal Academy schooled artists such as Shannon. In the 1890s, when he was painting Legros, Shannon had acquired his own lithographic press and was experimenting with drawing in chalks on stone, and was involved with the Vale Press, the publishing imprint he set up with Charles Ricketts in 1896. In 1933 the Shannon Bequest to the Fitzwilliam Museum, Cambridge, included a drawing of Ricketts and three drawings of Shannon, all by Legros, and dated 1896–7. The broad gilt frame is the original as designed by Shannon. 1) See Legros 1912, no.5. No known image. Charles Ricketts’s article on Legros in L’Art et les Artistes, vol.10, 1909/10, pp.206–19, only reproduces the 1899 portrait (now NPG 2551), p.217. 2) Coloured chalks on brown paper, 1898; untraced; ex-Bliss collection; Christie’s, NY, 10 Mar. 1972 (1), bt. FAS. 3) 50 proofs printed by the artist. There are impressions in public collections including the BM, London; UCL; Manchester AG; and the NPG. For details, see ‘All known portraits, By other artists, 1896’. 4) All the diary references Shannon Diary, BL, London, Add.58110. Transcription kindly provided by Dr Timothy Wilcox. 5) Letter from F. Howard to H.M. Hake, 5 July 1932, NPG RP 2551. The varnish and retouchings needed conservation treatment in 1997 (see NPG RP 2551). 6) Portraits of Shannon by Legros at Fitzwilliam M., Cambridge: red chalk drawing, 1896 (2101A), silverpoint 1896 (2101B) and pencil drawing, 1897 (2096). Half-length, head bowed to left, standing over table with papers, gloves in left hand. Coll. Lucien A. Legros; given to NPG by Francis Howard, 1932. 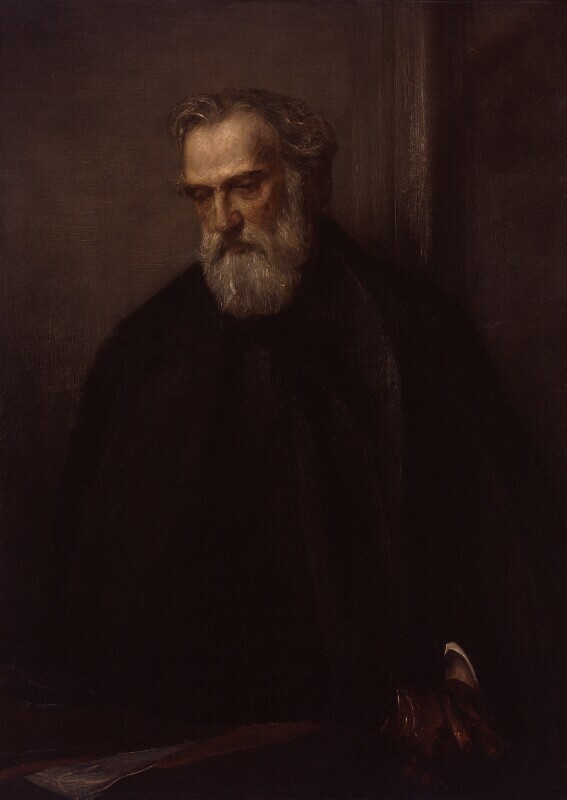 Loan Collection of Works by Alphonse Legros, National Gallery of British Art [Tate], 1912 (90). L’Art et les Artistes, vol.10, 1909/10, p.217.